Kelly Leary serves as a Celebrity Judge at the "Lucky in Love" event at Loch Bar in Mizner Park, Boca Raton, on Tuesday, Feb. 12, 2019, at 6 P.M.
PALM BEACH GARDENS, Fla., February 11, 2019	(Newswire.com) - Every February, Kelly Leary and Revolution Dating work overtime to match South Florida singles with the perfect date. 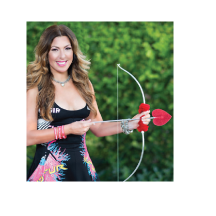 As Valentine’s Day draws near, Cupid aims HER arrow all over Palm Beach and the Treasure Coast. Honored to serve as a Celebrity Judge, Kelly Leary is an expert at matching singles that find themselves lucky in love. Leary and her team of professional matchmakers help single professionals and retirees find love outside of online dating. Their 90% success rate offers proof that Kelly is qualified to aide single, divorced, or widowed men and women in their search for love. Kelly Leary serves as a Celebrity Judge at the “Lucky in Love” event at Loch Bar in Mizner Park, Boca Raton on Tuesday, Feb. 12, 2019, at 6 P.M.
Revolution Dating is proud to be a sponsor of Florida’s hottest dating game for singles, "Lucky in Love." On Tuesday (2/12), five celebrity judges will deliver five matchmaking questions to eligible bachelors and bachelorettes. Out of 10 singles, only two are chosen to start a new romance just before Valentine’s Day. 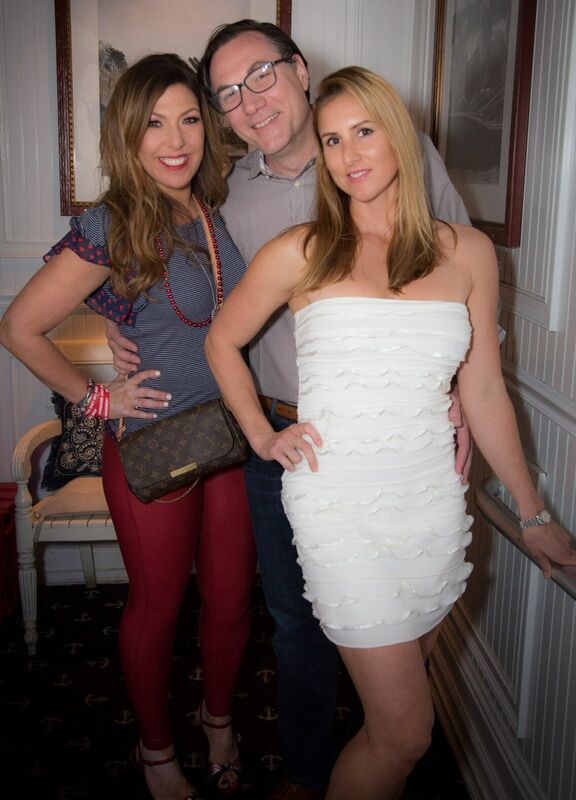 Like many events hosted by Revolution Dating, a social hour that allows singles to mingle begins the evening. The dating game starts at 7 P.M.; event-goers can enter to be a contestant or happily enjoy the atmosphere as part of the audience. Presented by The Gab Group and Boca Magazine, this event is a fun twist on an old love game. Professional matchmaker, Kelly Leary serves as a celebrity judge to help ensure the chosen couple is a great match. Other judges include Eric Smith of Atlas Restaurant Group; Boca Magazine’s Web Editor, Christiana Lilly; South Florida Attorney, Ian Berkowitz; and David Rosenberg of Rosenberg Diamonds & Company. Last Friday (2/8), Leary joined Salty Dog Paddle and other celebrities to raise funds for rescue dogs that have been injured in South Florida. Dressed in their best boating attire, those attending had the opportunity to win a date with one of the dating auction contestants. 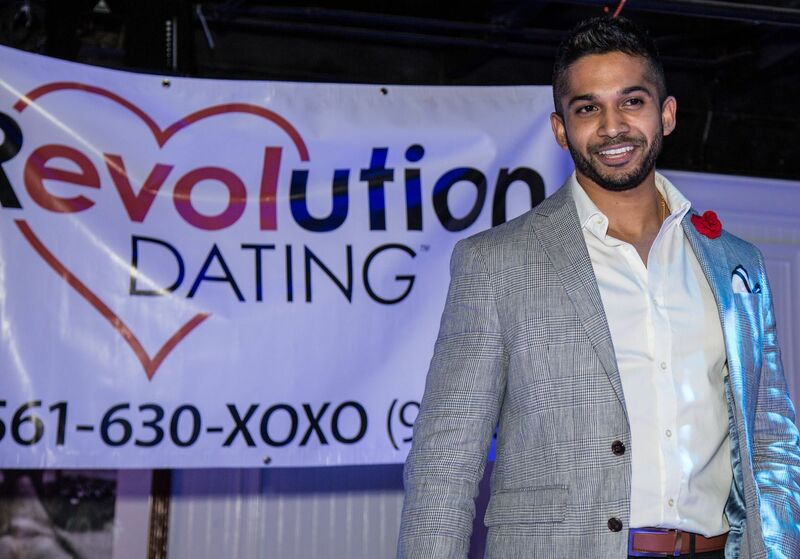 As a way to give back to the community, Revolution Dating takes part in and hosts many dating and charity events in Palm Beach and the Treasure Coast. 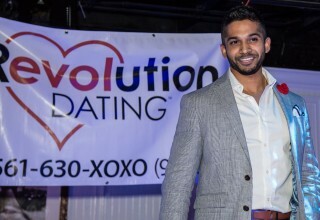 To learn more about Revolution Dating events, go to https://www.revolutiondating.com/events and sign up or call 561-630-9696. The expert matchmakers at Revolution Dating are committed to hosting events with singles that are designed to help them find love. Busy professionals or happy go lucky seniors tired of online dating in South Florida can find their love by contacting Kelly Leary and her team. Leary has a Master's Degree in Clinical Psychology and 28 years in the dating industry. Her honors and awards speak volumes about the success of her clients. Professional matchmaking services help singles frustrated with online dating find real love - in person. Matchmaking services like Revolution Dating offer professional insight on relationships, the psychology of love and what it takes to make a relationship work. Daters enjoy the security of knowing that the person they are about to meet is sincere, has been pre-screened and is a good match for them. Online dating based on match percentage is frustrating. Those who choose to use a professional matchmaking service have an increased chance of finding long term love. This club deals with real, verified people. There are no ghosts or catfish in sight. Looking for love isn’t only about online profiles and guessing games. Professional dating services can help eliminate the hassle of bad dates and hidden agendas. Romantic hopefuls can find love off-line in two zero one nine with Revolution Dating. To get a professional recommendation of who you could fall in love with instead of several bad first dates, visit Revolution Dating online, or Call. Start. Love. 561-630-XOXO (9696). This event is 95 percent full, call now to R.S.V.P. Featuring speed dating. Back by popular demand. Feeling lucky? Join Palm Beach's favorite Revolution Dating Cupids at our Speed Dating Mixer this month! Enjoy an evening full of flirtation, cocktails, scrumptious nibbles, and Mini-Dates in an upbeat indoor/outdoor setting. Revolution Dating prides itself in a long history of making love happen in Palm Beach, Treasure Coast and Broward County Areas since 1991.